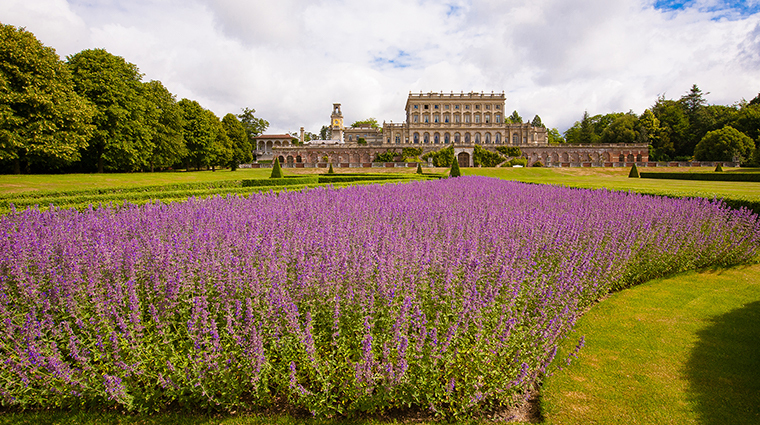 Cliveden House has been delighting visitors for more than 350 years, first as home to English nobility, then as a hub for the fantastically glittery parties in 20th-century Astor era. 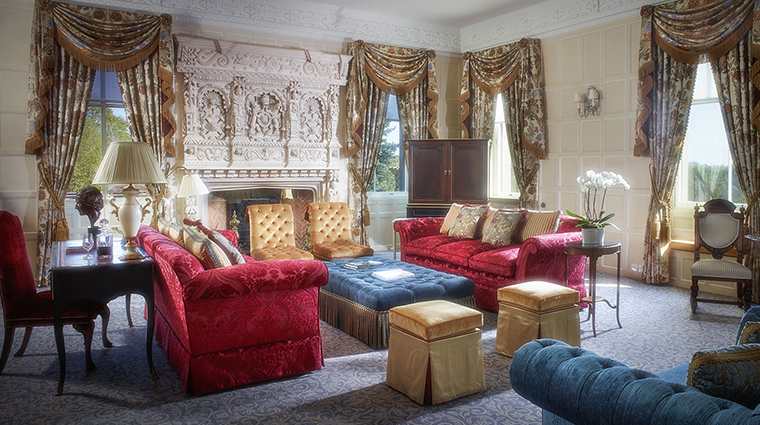 These days, it is known as one of the most lavish and comfortable country house hotels in all of England. Just down the road from Windsor Castle, the house has hosted almost every British monarch since George I. Twice destroyed by fire, the stately hotel’s current design was built by acclaimed 19th-century architect Charles Barry, who also constructed the Houses of Parliament in London. 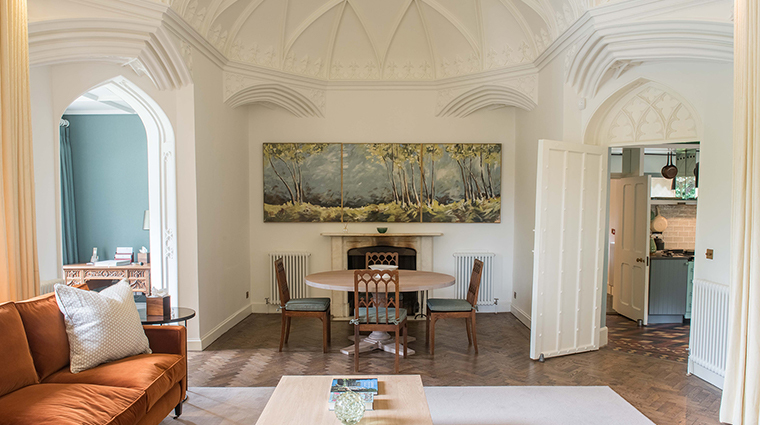 Set within 376 acres of elaborately landscaped formal gardens and wild woodland in the Berkshire countryside, Barry’s three-story Italianate structure is imposing from the outside, but remarkably comfortable within. 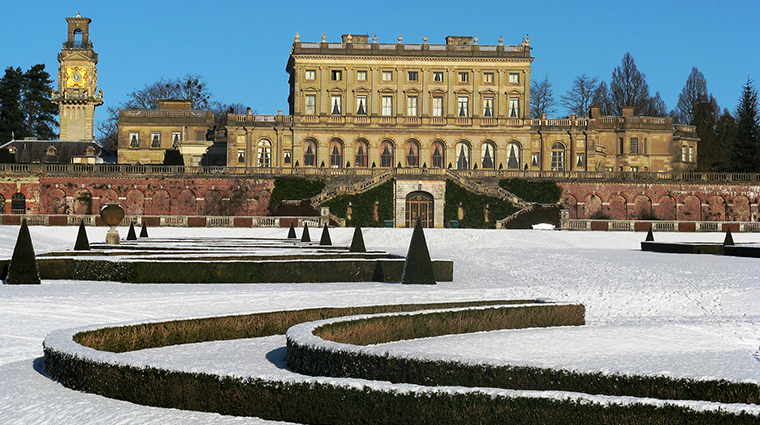 • The grounds and gardens are the stars at Cliveden. Getting lost in the history of the grand property is an easy task while looking out over the six-acre Parterre, the highlight of the gardens. 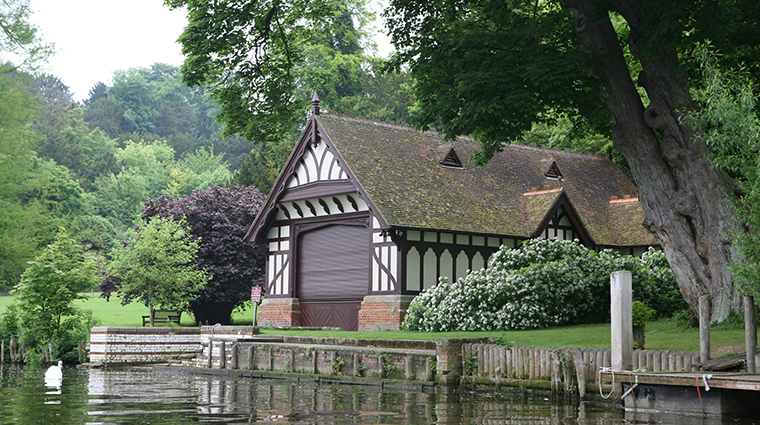 • Going boating on the Thames is a popular activity among guests. 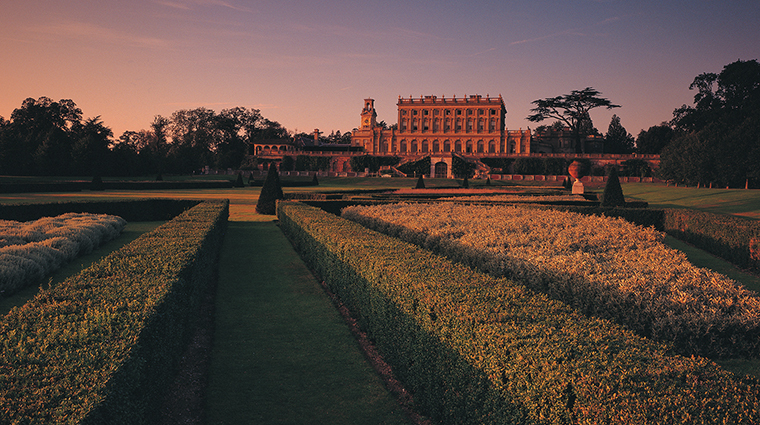 Book a champagne evening tour in a beautiful vintage launch to really do it in style. 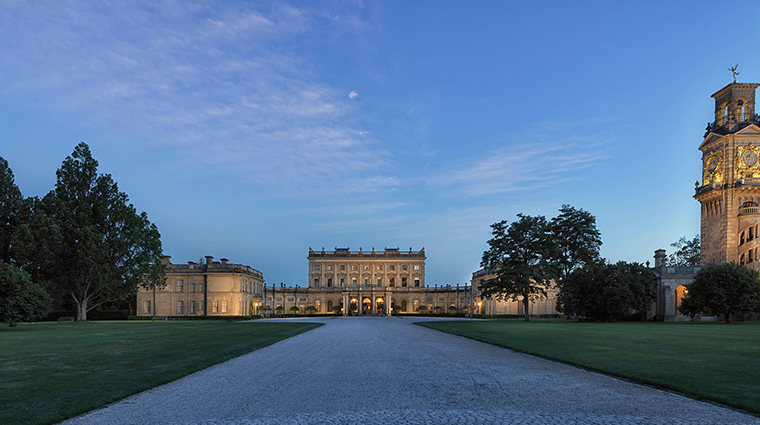 • Architectural marvels surround the property, such as the amphitheater where “Rule Britannia” was first sung in 1740. • Competitive types will love the tennis and squash courts, snooker (billiards) room and croquet lawn. 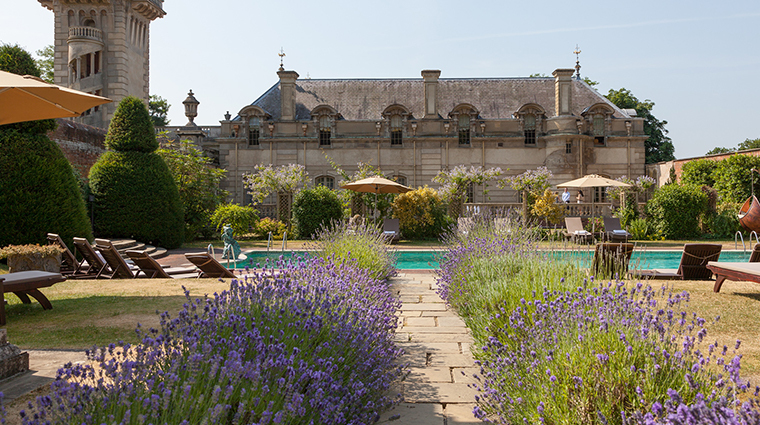 • Hidden within the walled garden is the Cliveden Spa. The luxurious facility offers indoor and outdoor pools, separate men’s and women’s steam rooms and saunas, and a fully equipped modern gym. • If you end up frequently visiting the Home Counties hotel, consider becoming a member. 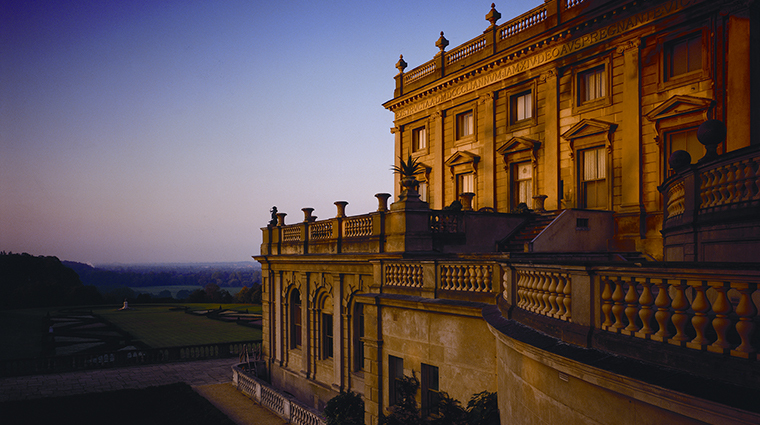 Membership gives you use of the Cliveden Spa facilities, tennis center, fitness classes, preferential rates and more. • Dwelling options are seemingly endless with the option to reside in club, classic deluxe double, hot tub and mansion rooms, or junior, deluxe and mansion house parterre suites. • The three-bedroom Spring Cottage overlooking the Thames River is also available. With enough space to sleep six people, the cottage is a great selection for families. 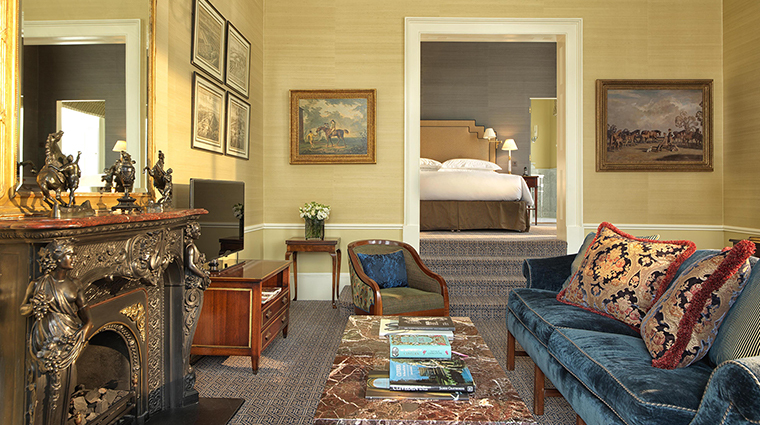 • Plush sofas, warm wooden paneling and rich drapes abound in both the public areas and in the cozy retreat’s 48 rooms and suites, each of which is named after a prominent guest from the house’s past. 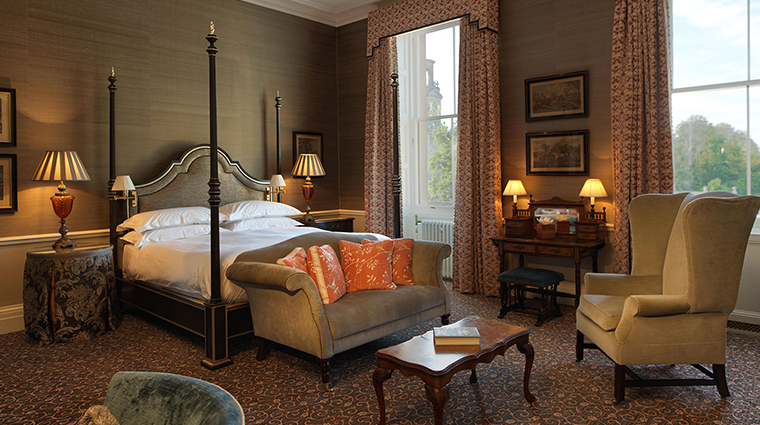 • No two rooms are alike in this historic hotel - from the Chaplin, with its stunning circular sunken bath, to the Gladstone, whose private terrace overlooks the Walled Garden. 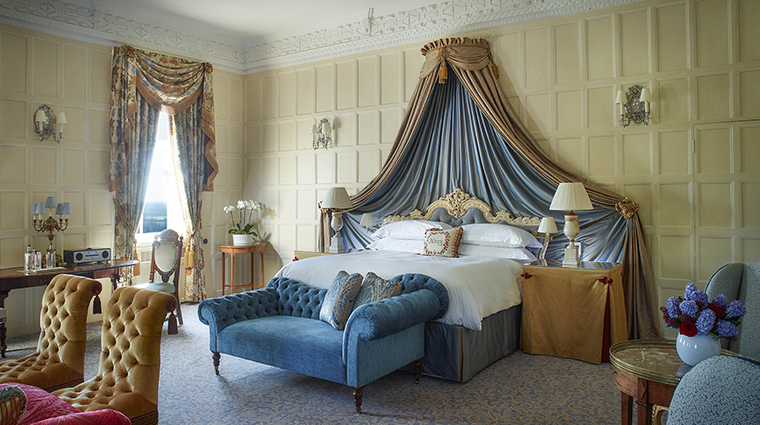 • Traditional rooms feature antique furniture and original art works — John Singer Sargent’s original portrait of Nancy Astor hangs in the Lady Astor Suite. 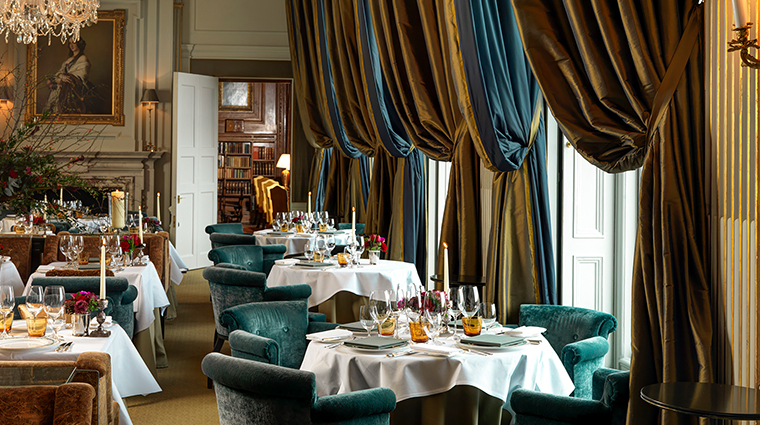 • Acclaimed chef André Garrett helms the kitchen that offers three-course, a la carte and eight-course tasting menus in the luxury hotel’s high-ceiled dining room. • Seasonal British cooking is Chef Garrett’s specialty, so look for dishes like saddle of West Country venison with quince and red cabbage, hand-cured sea trout salad, and poached Cotswold rhubarb with oat granola. 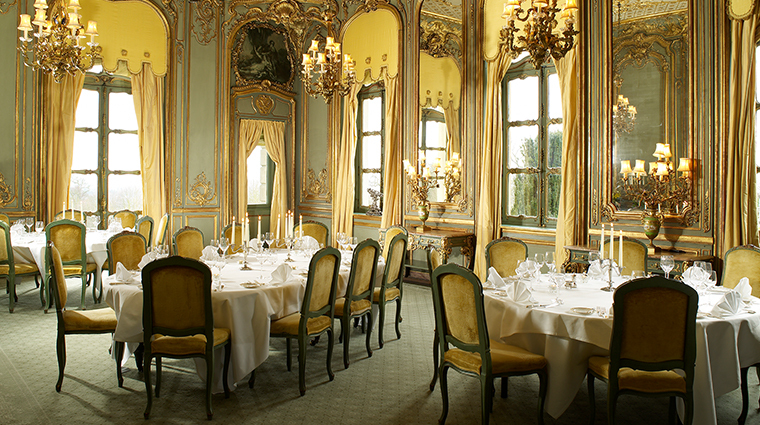 • Informal dining takes place in the Club Room, the house’s former stables. • Both the all-day and supper menus have a typical British gastro-pub vibe, with sandwiches, salads and nibbles throughout the afternoon giving way to steak and fish and chips in the evening.